This month, I didn't start my book-buying until around the middle of the month - how good have I been? Exceptional if you ask me. Also, I've been been reading some great books while the sun has been out and the winds have been nice and cool this month. Buying my books have also been a hard task of making sure I'll get in and read them. The first two books are from the Book Warehouse at Springwood and were well worth their prices. 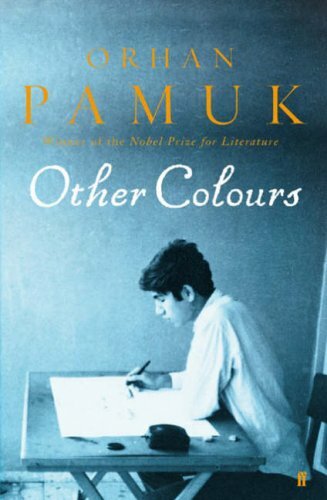 There was 'Other Colours' by Orhan Pamuk; which is the the short stories and essays of a Turkish author who lives in Istanbul. 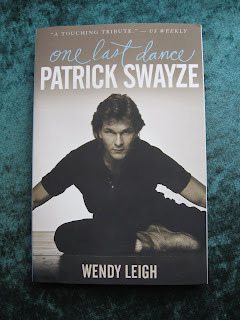 As you can see from the review below you can tell I absolutely adored the book; I wallowed in its beauty and breathed in the words like oxygen, and I do hope you find a copy and do likewise. The next book I bought on the same day (19/8/2011), 'The Book of Tomorrow' by Cecelia Ahern is yet to be read by me. I read the back of it and thought it sounded brilliant; and so bought it and now it's on my Mt TBR - well, okay, one of them! Then this week, I was out and about at Garden City running some errands, and I couldn't walk past QBD to check out 'Red Dog'. However, at $19.95, I couldn't afford it. One shelf down, I found 'One Last Dance: Patrick Swazye' by Wendy Leigh for $6.99 and got both books held until I had been to the bank. When I returned, I handed 'Red Dog' back and bought 'One Last Dance' all due to the price. I thought I may ask for it for my birthday (as I've only just seen the movie last week and loved it!). 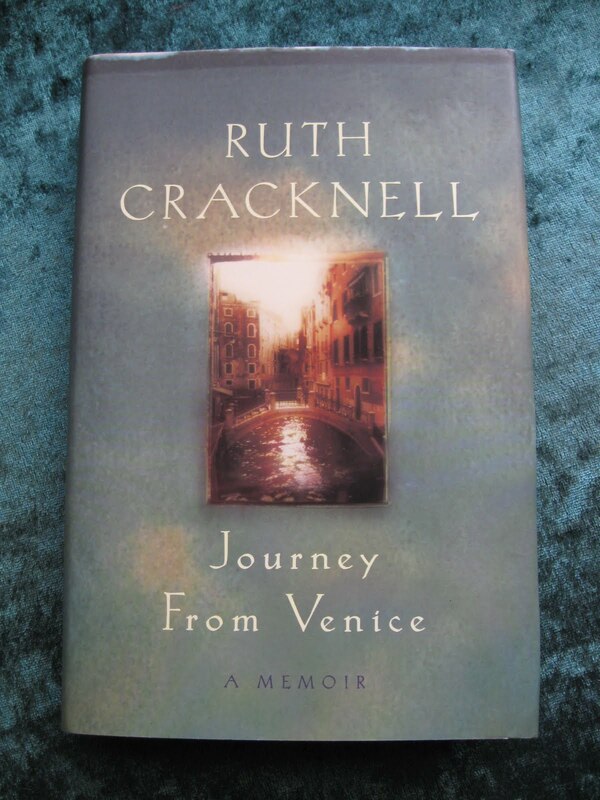 While I was walking around Garden City, I checked in on The Book Cafe - to see if they had a cheaper copy of 'Red Dog' in store and stumbled upon a first edition of 'Journey From Venice' by Ruth Cracknell for $12.00! What a steal! So, I bought that and ended up with two great books for my day out (as well as the things I had on my list for the day) before coming home by bus. But the strangest thing happened that afternoon. Mum and Dad dropped by and Mum handed me a bag from a bookstore down the coast and - what did it have inside it? - a copy of 'Red Dog'! I laughed and told her I almost bought it earlier that day; but was put off by the price! Now was that fate or what? 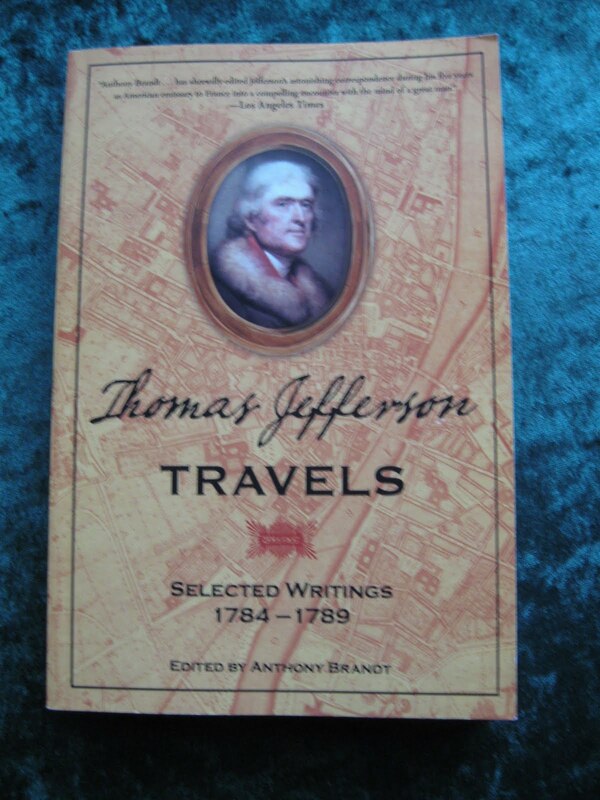 Today, I was out at The Book Warehouse at Springwood (on my way to see the doctors about an allergic reaction to some shampoo I had used) and I found 'Thomas Jefferson Travels: Selected Writings 1784 - 1789' Edited by Anthony Brandt which I purchased for the great price of $5.00! I love these books about famous people's writings and travels from those times; as it gives a great insight of what life was like back then, how they lived, traveled and worked. So, this month, I've been good and thoughtful in what I've purchased in my reading material. Which books have you added to your collection? Were they well-thought out or something you grabbed at the last minute and they totally surprised you in the end? Until my next post, happy reading! Famous for the book 'Snow', Orhan Pamuk writes in this rather thick novel about his passions of writing, books, family and life in Instanbul. From chapters that only run for a few pages, to indepth dialogue about European authors who he loved when he was young - and why - Orhan speaks openly and lovingly through his own words and onto the beautiful, thick white paper about his passion that caused him to become a writer. However, he takes this a lot further as you read further and he takes you into his life of the heat and bustling city that is his home; along with the smells, the shops, stalls, marketplaces, beaches and noises of where he and his family lives. When you begin reading this book, you feel as though you're being transported overseas and you've become a welcomed visitor into his home; seeing what he's seeing, feeling and enjoying as the sun sets over the humming city of Istanbul and its inhabitants. Orhan walks you through the horrible experiences of the 1999 earthquake that struck Instanbul at 3am; how his whole family barely slept, how he didn't feel safe anywhere inside his home. He also explains how he quickly and decisively tossed out 250 books from his 12,000 strong collection because he was worried about its weight becoming too much after the quakes. Yes, this book is worth pouring through; however, it's not like any book I've ever read. I don't have to read from beginning to end. I have found I can pick and choose my chapters as I please as none of the chapters are linked very much; and I like it that Orhan has worked this book like this. This is the kind of book on writing, books and living I've been attempting to write, but have failed. This book is beautifully written; as the words are written as though they are breath upon the page and I'm just here to breath them in, easily and quickly without effort; as a book should be. Orhan Pamuk has written a visually gorgeous book in more ways than one. Until my next post, happy reading. Over the last few weeks, as I was cleaning out my house, I have thought about the amount of books I have stored here in this office. As in another post I wrote about a month or so ago, I said I have around one thousand books (the number's gone up since I received a few parcels in the mail, Mum's given me a couple of Hugh Lunn books and I purchased a couple more). However, the books I have vary in content, style, author, size and genre; and yet, I don't really seem to have a favourite amongst them. When I was younger and in my 20's, Stephen King, Raymond E Feist and JRR Tolkien was my staple diet of literature. However, as time went on, and I socialised with other writers and widened my scope of reading with online book clubs, I read more and more; and found myself reading other authors I had never heard of, or I had but didn't have the courage to try out until somebody recommended them to me. My library card received a good working out; and I read books more in 2007 than I did in 2006 simply because I read reviews on blogs and in newspapers; and thought I'd like to try out those books. My favourites have changed markedly from the staple of horror writers and sci-fi fantasy to the large range you see on the right hand side bar on this blog today. This took a long time to get my head around - especially the non-fiction, seeing how long it takes for me to read those books. Also, reading those books also opened my mind to new ways of writing and finding out that I either liked a book; or I didn't. For me, there's no middle of the road with books now; and that's good as I get through books faster now than I ever did a decade ago. And even beginning a blog was something very new to me - a very hard thing for me as I found the internet a strange new world to venture into at the time - and yet, I enjoy sharing what I've read throughout my life with you all; no matter at which point I've read those books, whether it was when I was a child, a teenager or when if I read it last week. Even though I have favourites in my collection in this home office, I don't read the same books twice in a year. In fact, I don't read them again the next year either. I may go for around five years before reading the same book again because I'll still remember a great book that touched me in some way for a long time. So, once it's been reviewed here on the blog, it may not be reviewed again for a few years; and if it is, it's because it was a bloody good book! If not, well, there's not real reason... books are just books. They are read; they are reviewed. Most times, after a review, I pass them onto my friends and family for them to read and enjoy as I believe that I don't fully own a book until I do give them away to others... then that's the way I share the joy of books. Yes, even my favourites are eventually shared. 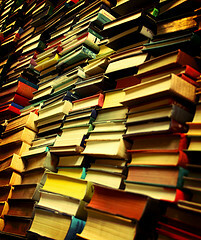 So, how has your reading habits changed over the last decade to twenty years? Or has it stayed more or less the same? Have you traded authors since you were in your 20's, or are you still dipping into their old works as well as their new? Are there authors you've discovered, loved and wondered why you put off reading them for so long? Or did it go in the other direction for you; you found an author and disliked their work for any reason? Leave your opinion about your favourites; who do you love to hate, and hate to love? Until my next post, happy reading. A rather thin book which was sent to me through the mail I put off reading it until this time of the year; I thought I'd have more time. However, I'm busier than ever, and yet still found time to sit in the warm sun out the front of my townhouse and read it. This thin, old book has been published with the thought in mind where you can take the reader on the journey through anything from the migration of Rooks to their roosting grounds to the woods at twilight. All these pieces are around fourteen pages long and are in intricate detail; which took me a little while to become accustomed to. However, once I did, it was like being led by the hand into the writer's imagination and being shown their childhood hiding place. Written in this way, these descriptions are much like paintings and leave a lasting impression on our mind's eye. The above paragraph was one such part of the 'Rooks Returning to Roost' which stuck in my mind personally as I hadn't read this kind of book before. 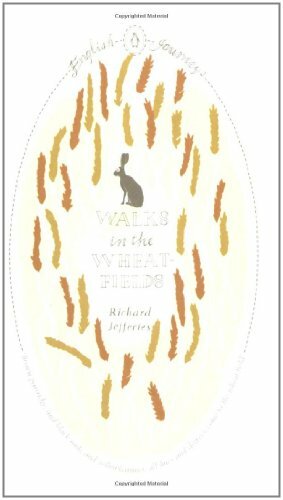 'Walks in the Wheat-Fields' has short descriptive prose originally written in the late 1800's. If you're not into heavy description - without dialogue or plot - this may not be the book for you. However thin this book may it, it is full of brilliant work of a great, fertile mind and he put his imagination to work in the best possible ways. Well worth a read if you do find a copy. Rebecca Bloomfield loves money and loves to shop. Her ideal way of spending her lunch hour is go to a sale at her favourite shop and spend up big! However, every day she arrives home there's a letter or two from Mr. Smeath from Endwick Bank asking for her to pay her credit cards; and they are getting impatient. Ironically, Rebecca is a financial advisor for Successful Savings magazine; where she writes articles on how to save money in all kinds of ways. She has every designer brand in her wardrobe from shoes to handbags, ear-rings to every style of dress, skirt, pants, underwear and hat. However, the banks are becoming impatient with her avoiding them, until one day, she runs into Mr. Smeath at a finance luncheon and Rebecca runs. She runs from London, her friends, her job, another finance banker she's been eying off, her life and Mr Smeath to her parents' house; only to get herself into trouble again. This time, though, can Rebecca get herself out of the hole she's dug? I hadn't heard of the book until the film came out and Hollywood had glammed it up. Then, when this book arrived through Bookcrossing I put it into one of my bookcases to read at some point; and forgot about it until a week ago or so. This book reminded me of why I don't have a credit card, why I only shop with cash and also why I take a list with me when I go out shopping. Deep down, we're all shopaholics, we've all got our own weaknesses - be it vinyls, books, bumper stickers, cds, dvds or handbags - and we have to deal with them somehow. Born in London, Sophie Kinsella studied music at New College, Oxford, but after a year switched to Politics, Philosophy and Economics. Sophie now lives in London, UK, with her husband and family. Finally, after a month or so of not being interested in anything at all, I've picked up a random book from my third bookcase (the miscellaneous one) and found myself turning from page one to chapter four! Yay! I'm focussed once again on something - anything! - and it's great to be able to look forward to my afternoon reading times. And seeing I'm reading again, I thought to update you all with what I've picked up. It's 'The Confessions of a Shopaholic' by Sophie Kinsella; something I never thought I'd get into, yet, here I am just over halfway through it and giggling my way through each chapter at the main character's antics of trying to make enough money for her shopping habit; and yet not getting very far! I haven't seen the movie, but that's the joy of reading the book first, knowing how it really worked out and not how Hollywood depicted it. I do have 'Owls Do Cry' by Janet Frame next to my bed which I'm halfway through. I'm finding that a challenge as it's hard to read and I can only read little bits of it and then have to digest it over a few days; the go back to it and read more. For her first book, 'Owls Do Cry' is a brilliant novel and I don't think I'll part with it. 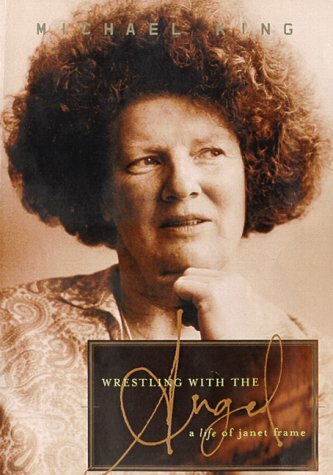 But I will try to read her biography: 'Wrestling With the Angel' by Michael King; which covers her whole life. I received it as a birthday gift some years ago, tried to read it once, but found it far too dense, so put it down (still marked where I left off). I'll have to try to read it again soon. So, what have you been reading lately that is different from your usual genre? Or have you picked up new book and just couldn't wait to read the rest of your Mt TBR to get to it and have decided to read it now? Do leave a comment and let us know what you think of your current reads. Until my next post, Happy Reading!